C-Line also has a ton of templates for free, such as the clock above! 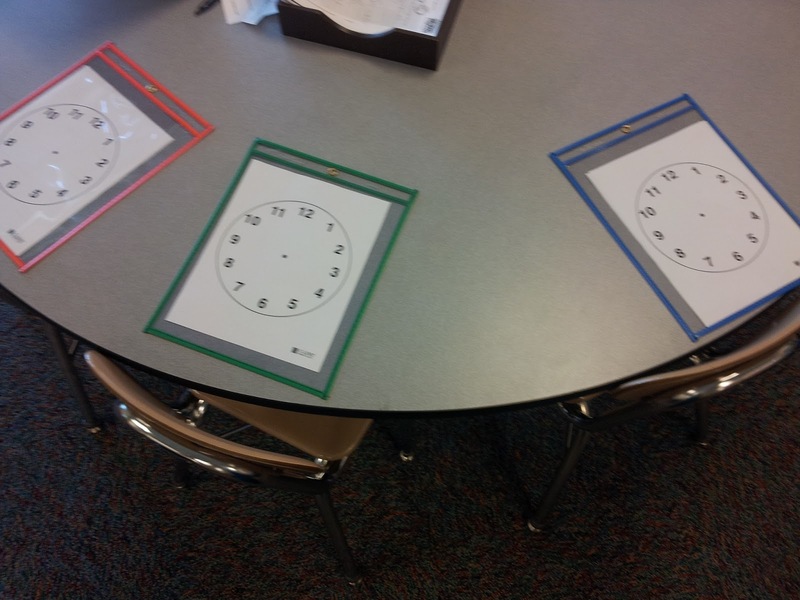 (I was trying to remind my green beans that they DO know how to tell time... #facepalm) Visit the templates page by clicking the clock below. I only needed 5 copies to be able to review time all week with my entire class - just sayin'. Project your tasks as much as possible. Duh. 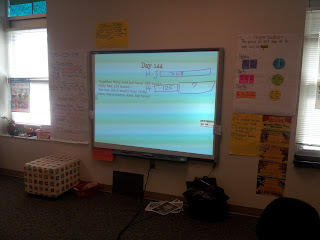 But really, do you need to make a class set of copies of the math problems, or can you project the problems on the wall (or, gasp, write them on the board?!?) 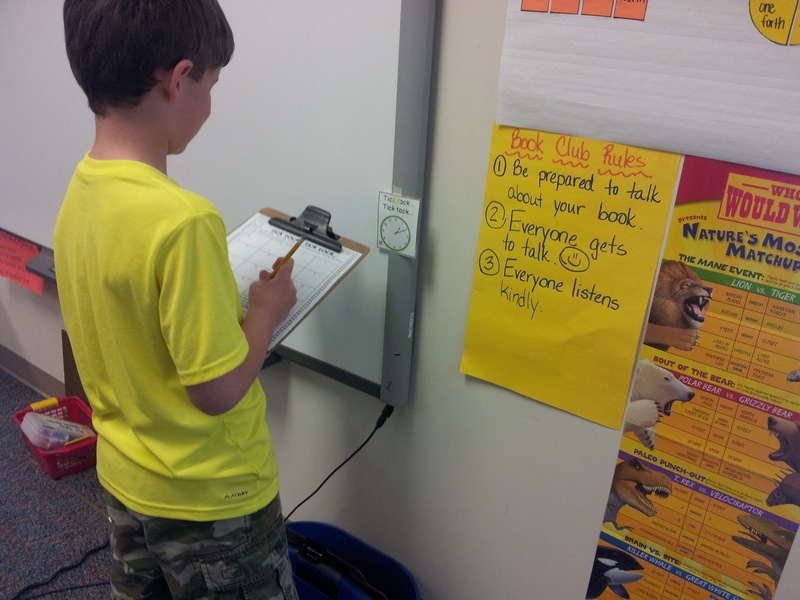 We have clipboards, and students move if they need to be closer to the task. Works for us. If you have the technology available, use it. 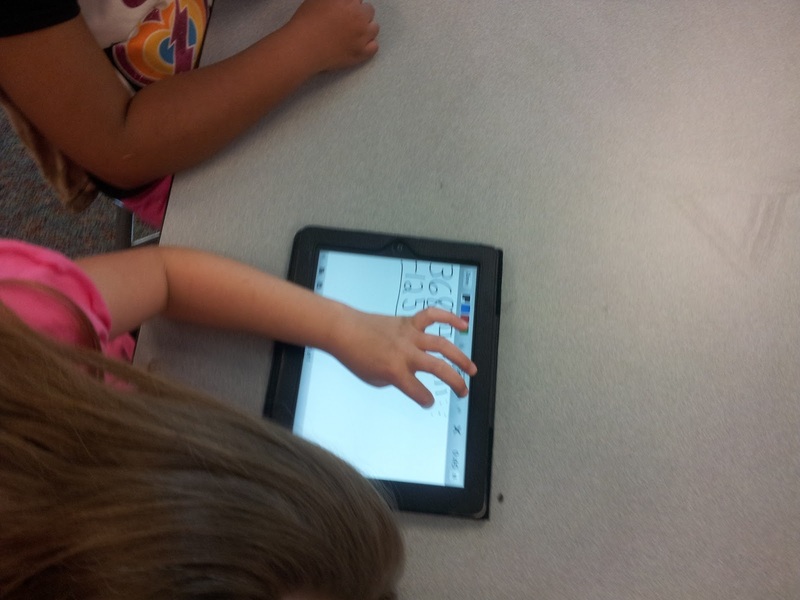 Today my kiddos made Educreations on the iPads (I borrowed them from another class that was on a field trip, so I was able to use 5 today!!) If you've never heard of this, it's a pretty fabulous teaching tool. Here's the sample Educreation I made to show my class about solving a word problem: Sample Educreations Task - Comparison Word Problem. Limit the amount of meaningless test prep busy work. Again, it's a no-brainer. The more worksheets you assign, the more papers you need to grade, file, etc. 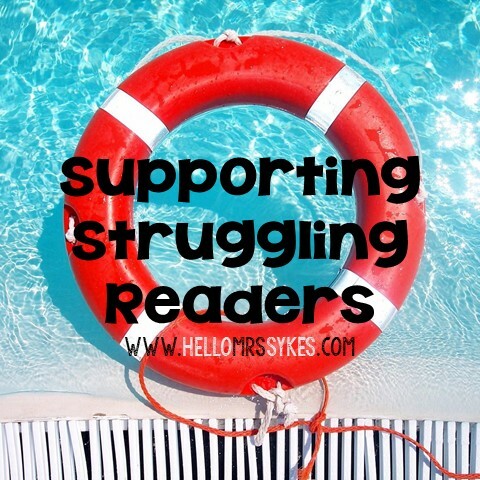 If it doesn't help you or your students, don't bother making the copies. Use whiteboards and dry-erase markers, and listen to students explain their work - that will help you see what next instructional steps you should take. A lot of my assessments are through anecdotal notes, and I've used every "system" to keep up with them. Good old-fashioned kid-watching on a check-list or in a spiral notebook can really tell you what you want to know - Do they understand the concept? Can they explain it to others? Can they apply the concept to other situations? You know, teacher stuff. :) Here's one way I got the class up and moving - using Christina Bainbridge's Tick Tock... Classroom Telling Time Hunt. Minimal amount of prep (and copies.) Love it! Use the resources from your school. I know, I know. Sometimes it's a pain when you get one. more. thing. from your school to use. Occasionally Often At times, I get a wee bit frustrated by being given something else to do... Earlier this year, I was given 6 copies of a test prep reading book, and told to use it without letting kids write in it or have their own copies. Again, limited copies! Print, laminate, and put in a basket or on a ring. Done! With budget cuts everywhere, I know we are not the only ones with copy warnings... How do you deal with limited copies? Disclosure: I received a set of dry erase pockets to review. I was not compensated for this review. All thoughts are my own. Affiliate links used to support this website.